Filled with a mixture of bamboo shoot, carrot, string bean, shimeiji mushroom, shallot, garlic, ginger, celery, and leek, will make this spring rolls can't be leftovers even a single-bite. Sauté shallot, garlic, and ginger till flavour out. Add carrot, string bean, mushroom & bamboo shoot, then season with vegetarian seasoning, oyster sauce, sesame oil and sugar, stir well. Add celery, leek, and water, stir well. Prepare the skin, put the filling on. Then roll the skin use beaten egg for stick the skin. Heat frying oil, then fry the spring roll till golden brown. 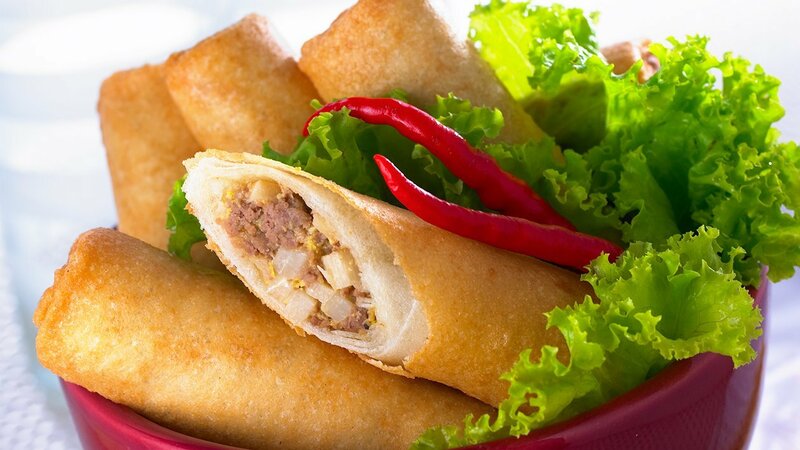 Serve the spring roll with chili sauce and garnish with vegetables.